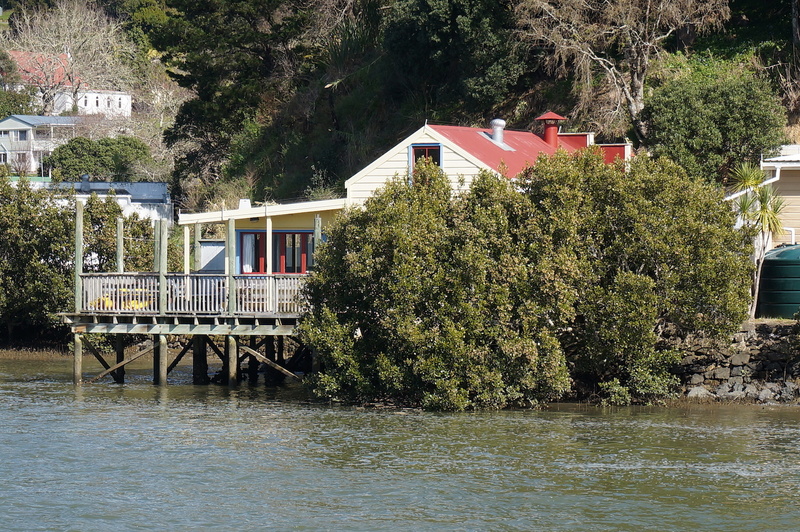 The Waterline is a unique bach sitting on stilts over the waters of the Hokianga Harbour. Situated in the historic village of Kohukohu (see the village’s website for more about Kohukohu), The Waterline offers a romantic getaway for couples and an inspirational environment for relaxing, as a retreat for the artist or writer or just an escape from the hustle and bustle of the city. With Wifi installed there’s no need to rush back to the office!